According to the sleevenotes of The Lover's Rock Story, Lover's Rock had its origins in Upper Brockley Road where label founder Dennis Lascelles Harris owned a record store called Eve Records, complete with recording studio in the basement. 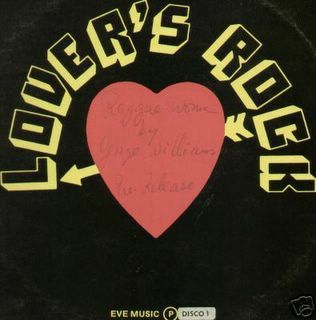 The label of course gave its name to a whole reggae genre: the sleeve above is from its first 12", 'Reggae Woman' by George Williams (1977). (thanks to Thomas K. for this tip).